The electric car is more expensive and pollutes more? To answer this question, we must understand what is behind the price and pollution. In the first case we refer to the price of KWh and the second to the emissions of CO2 and other greenhouse gases. By no means an analysis of an electric car comes down to these two parameters, but those are the those that mainly condition the acceptance by the market and perform a real paradigm shift. Let us start with the emissions. Electricity comes from burning fossil fuels, dams (hydro), wind (turbines), solar panels and other renewable sources, but the mentioned ones are the ones those that are most commonly deployed today. 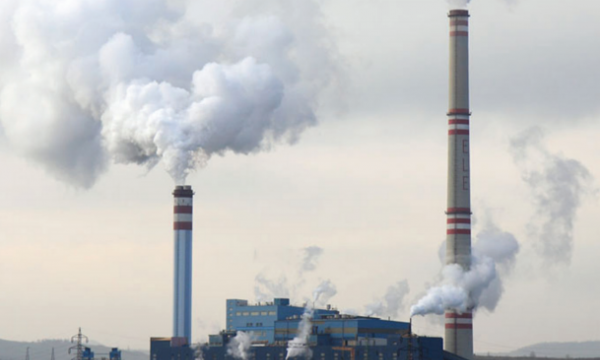 In the burning of fossil fuels, power plants are used to vaporize water and generate steam to obtain electrical energy through the use of turbines. The dams use the difference in height (potential energy) to produce electricity by moving a turbine while wind energy harnesses the wind through the movement of the blades and generates electricity through a turbine, and also in the case of photovoltaic panels where through the photovoltaic effect an electric current can be generated through solar irradiation (using some semiconductor materials). Each technology has its costs and CO2 emissions as discussed below. A coal plant emits more than 1000 Kg of CO2 per MWh (slightly less than 1000 in very few) and natural gas less than 500 kg deCO2, which is the only type that is below 500 kg. (One technique to reduce emissions in conventional thermal power plants burning fossil fuels is carbon sequestration. In the case of coal and to reduce emissions to below 500 kg of CO2, it requires minimum double the investment in the construction of the sequestration and no firm worldwide can ensure a technology for carbon sequestration). With regard to nuclear power plants over 75 years for decommissioning of the plant is reason enough not to be even considered financially, not to mention the dangers and risks. In the case of natural gas: if the electric vehicle (EV) is a way to increase the consumption of natural gas so why not bet on LPG instead? Renewables today suffer with problems of investment and infrastructure network and low acceptance by major global players and the price the complaint. The exception is in the dams. Clearly wind and PV increased significantly in recent years, but at subsidized prices, which raises some issues with prices. Let us introduce the concept of electric vehicle (EV), which, like FCV (Fuel cell vehicle) is a great alternative and can (and should) be taken into account in the concept of smart grid (smart grid). Electricity is used to move the vehicles and no pollution is generated in that process. - The lowest (http://www.greencarsite.co.uk/CONGESTION-CHARGE-EXEMPT-CARS-LIST.htm) is 90 g / km to 81 MPG or 34 KPL (Km per liter) but the most natural is that the average is around 200 g / km or thereabouts. - PV: some Feed-in-tariffs are 3 times the current cost in our homes, though some examples exist of not even twice. - Hydro: competitive and usually cheaper than the conventional power but sometimes not less than off-peak rates. The conventional power plants besides hydro plants are ahead in terms of prices of everything else and then how you will manage the problem of the "cheaper"? Wind and hydro will be able to do it, but wind is not considered as a base load generation source while hydro is not reliable all year long. Considering an electric motor with an overall yield of 85% already with the efficiency of batteries (which is highly optimistic): 0.3 (efficiency of a conventional thermal power plant) x 0.85 = 0.25 (actually 0.22). We have 22%. A good combustion engine may reach 30%. To justify the error of these arguments the energy mix may be used as an argument, but for that we must take into account the load curve or consumption of electricity and the generation and how that energy may not match the energy mix. This fact leads to what is currently mentioned as the need for intelligent networks to deliver and manage electrical power precisely because the problem of renewable energies is intermittency and no easy predictability as conventional fuels. One nice exception is geothermal and under such scenario – like the Philippines – EV can actually be a good option, but limited to the geothermal generation. The “tag” of the kwh generated is fundamental to get the EV to run opn the right “kwh”. The intention of this article is not hide the fundamental problem as others, but point it out so that it can be solved..
- Gasoline and diesel vehicles use around 6 liters/100 km so we have 7,8 cents for diesel fuel (1,3 USD per liter) and 8.4 cents for gasoline (1.4 USD per liter), but if we had 4 l/100 we would end up with 5,2 to 5.6 cents respectively. In its proper use it may be more expensive and here we enter one of the hereditary problems of Renewable Energies: the price. Is this a valid reason not to move forward with the electric car? No! The correct way is to use Renewable Energies and that should be supported in order to reduce the cost while the smart grid conscepts should proceed because the EV can be the batteries we need to store electricity that is not predictable, creating buffers on the grid, but the electricity tagging is crucial to avoid the issues mentioned above and most important of all if “instantaneous tanking” is the way, no Renewable Energy sources will be able to meet that demand and likely we will get the usual “dirty” conventional sources. Another solution could be that cars pay for their emissions: the case of petrol / diesel is easy and in the EV the same thing should happen depending on the type of kWh consumed. This is a regulatory mechanism that may be implemented globally and the origin of kWh should be completely transparent so that green tariffs can be a reality and then we would have a truly clean mechanism. However currently Renewables require changes in infrastructure and electricity distribution network and there is no guarantee that we can make a correlation between the consumption in cars and the delivery of renewable electricity, thus potentially leading to increase in conventional fuels instead of Renewable Energies. This article is not against the FCV or the EV, on the contrary, but push this issue forward is not the solution and we must address the transportation and electric power generation as a whole to understand the total picture and not just partial . Nobody talks about reducing the use of individual transport, only the massive use of electric vehicles and that will not solve any problem in relation to traffic in cities. Public transportation continues to be essential and is being forgotten. Agostinho Miguel Garcia is the Chief of Development and Engineering at Sun Business Development Lda.